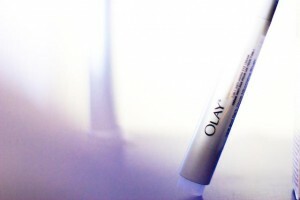 This is a sponsored review from BlogHer and OLAY. Confession #1 I love wearing makeup. Confession #2 I have even been known to wear makeup to the gym. Confession #3 I’m not ashamed. Every since I was a young girl, I have enjoyed playing with makeup. Years later, I still love to “play” with makeup but I rarely have the time to lock myself away in my bedroom painting, contouring, lining, and blending. As a busy mom to two kids, mornings are most often hectic and as much as I’d like to spend 20 minutes smearing and smudging the perfect smoky eyes (Yes, I would totally wear smoky eyes during the day to the grocery store. ), the fact is, I get very little time to get ready. This means one thing: simplify. We all know that the simplest way to have great skin is to get regular quality sleep, eat a well balanced diet, and drink plenty of water. But sometimes even with my best intentions my skin needs a little help. Not enough sleep? Ahem Whether I am going for a natural fresh face look or a more glamorous look, I always start by making the most of my complexion. 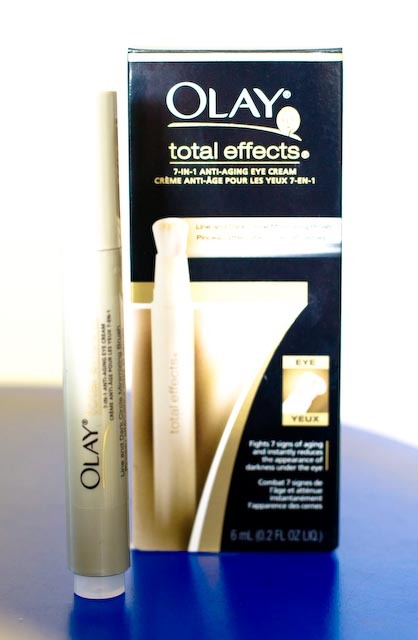 I had just finished the last of my eye moisturizer and was looking for something new when I received the opportunity to review Olay Total Effects Line and Dark Circle Minimizing Brush. 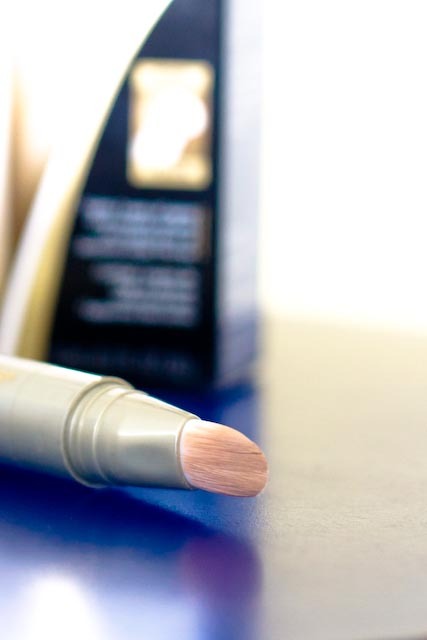 It’s a moisturizer and a concealer in one. Love multi-fuction! You simply click the button on the bottom of the stick once or twice and then brush on and, voila, no more dry skin and dark circles. 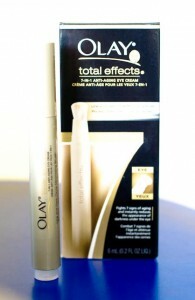 So what do I think after wearing Olay Total Effects Line and Dark Circle Minimizing Brush for a few days? I like that it moisturizes and gives light coverage. Two steps in one! It goes on really smooth. The brush is soft and fun to use. Makes me feel like an artist! I really really like the click dispenser. 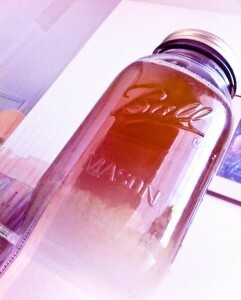 It seems I waste less than if it were in a bottle. 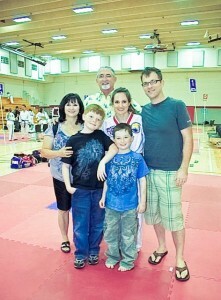 My skin tone looks more even. It comes in one shade “For Most Skin Tones”. I’m really fair, and while it totally works, I think a shade lighter might be nice. I prefer products with simple ingredients lists and this one was a tad long. 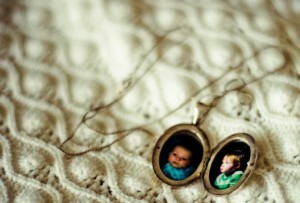 Speaking of simplicity. 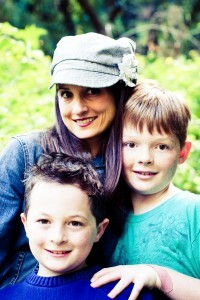 Want a simple way at a chance to win a $100 Spa Finder Gift Card from BlogHer? Just leave a comment telling me how you simplify your beauty routine! This giveaway is open to US Residents age 18 or older. Winners will be selected via random draw, and will be notified by e-mail. You have 72 hours to get back to me, otherwise a new winner will be selected. Visit the Official Rules. Sweepstakes runs from 4/14 – 5/14. Check out what other bloggers are saying about Olay Total Effects Line and Dark Circle Minimizing Brush and more chances to win visit the BlogHer round up page! So share your tricks to simplifying your beauty routine. Or how about a confession of your own! Have you ever put on makeup before going to the gym? Would you wear smokey eyes to the grocery store? I just use concealer, mascara and lip gloss. i don’t have much a routine – just keep it simple and natural 😉 works for me! Two words – dry shampoo! It’s a great way to get a second day out of your hair without washing and blow drying! I have everything I need on the counter in the bathroom so I can quickly get ready and save time. I don’t wear much/any makeup, so I’m all about the bare minimum of effort! Not much to simplify – it’s already simple. I usually just put some gel in my hair. I don’t wear makeup. I just cleanse and a little moisturizer. In a super-duper double-triple hurry, I still won’t go without makeup. I must use concealer and blush. It doesn’t get any simpler than washing up and applying moisturizer every morning! I can be pretty lazy and if I’m tired I just skip the routine altogether and splash water on my face in the shower the next time I’m in it. My normal routine usually blends 3-4 eye colors along with two types of mascara (thickening, lenghtening) so when I’m strapped for time, we go with one neutral eye shade and one mascara. A dash of powder and I’m out the door!! My beauty routine is to wake up before everyone else and just spend a few minutes relaxing in a hot shower. The day goes by so much better after that. God Bless. I just do the minimum — I don’t apply full makeup. I use Concealer, Mineral Powder, Lip Balm, Lipstick and a little Mascara. I use a foundation with moisturizer in it, kill 2 birds with one stone! Make-up itself is difficult for me. I never really got the hang of it. But getting out the door quickly? No problem. Wash with Noxzema, pat dry, put on some Clinique, and put my long hair up with a single discreet butterfly clip. And off we go! I don’t have a routine. I just wash my face. I let my hair air dry while I’m driving if I’m in a rush. I simplify my daily routine with just foundation, mascara and a touch of lip gloss. While sitting in my car… No Shame!!! My secret is drink lots of water and get plenty of sleep. I just use eyeliner whe n i am rushed for time! Pretty simple moisturizer, eye brow pencil and some liner. If I am i n a hurry, I just use moisturizer powder, lipgloss, and eyeliner. I do the bare minimum–concealer and mascara. Mine almost can’t get any simpler, but sometimes I do forgo eye shadow if I’m super lazy! I simplify by using products that are multi-purpose, such as moisturizer with SPF protection. I always use moisturizer at night to simplify my mornings. My “Oh NO!? !” routine is some deoderant, some mascara, hair in a ponytail, and a little lip gloss. Fortunately, I can still get away with this!